For my final dinner in New York City, I needed no time to deliberate- The Little Beet Table had my vote. This sit-down cousin of The Little Beet, a fast casual eatery I have enjoyed before in D.C., promises the same peace of mind with a more swanky menu. 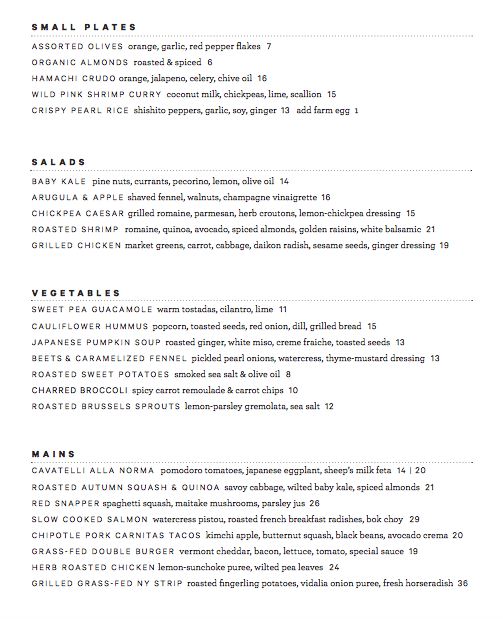 Like it's cousin, The Little Beet Table is 100% gluten-free, and curates a seasonally-aware menu that puts real food front and center. 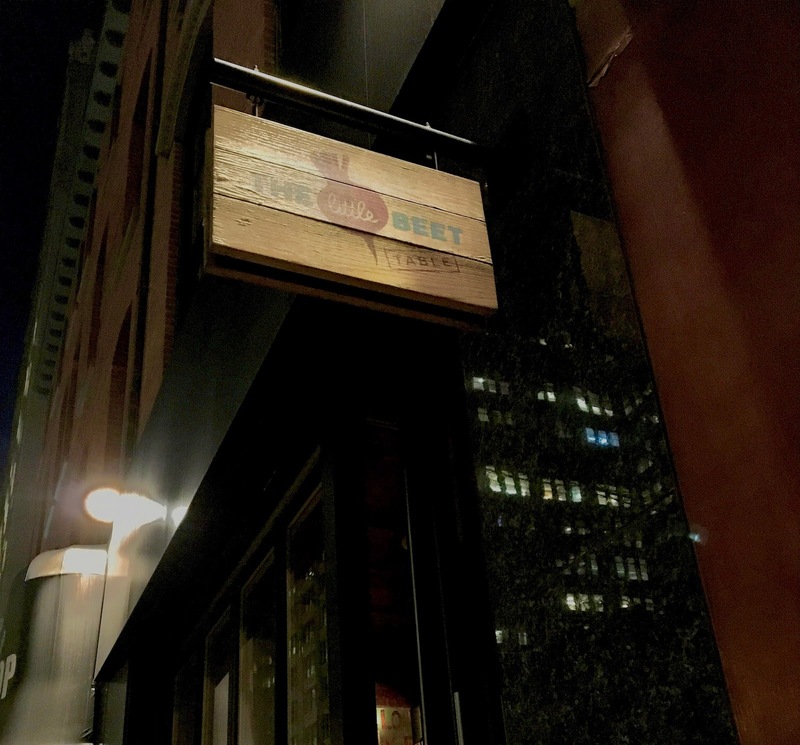 Despite it's location among Manhatten's hottest restaurants, The Little Beet welcomes you in, which puts you at ease and prepares you for a memorable dining experience. 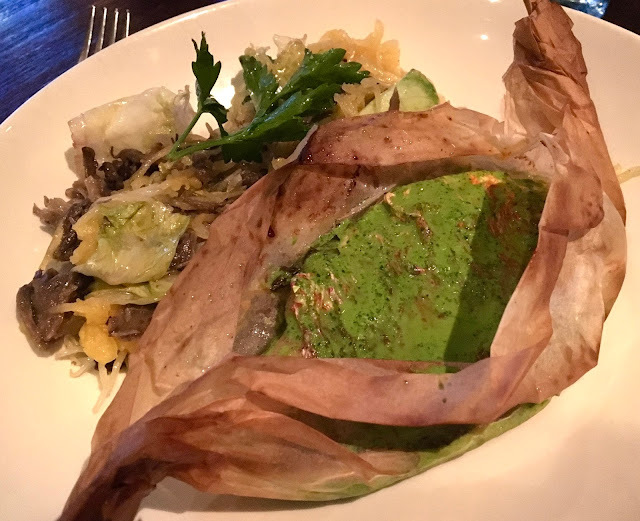 Because the whole menu is gluten-free, there's no need to worry about cross contamination or the integrity of your meal. When bread and pasta appear on the menu- they too are 100% safe. As with any dedicated gluten-free restaurant, you still have to inform the wait staff of other allergies or dietary restrictions you might have. With my dairy-restriction, I still had plenty of options to choose from. So much of the menu was tempting that it was quite a challenge to narrow down and decide what I wanted to order. Because my whole family was still full from lunch, we opted to pass up on appetizers. I wish there was a way to do a prix fixe meal and select one from each category. I ended up deciding on the red snapper main dish, which was topped with a parsley jus and joined with spaghetti squash and maitake mushrooms. It was generously portioned, and absolutely beautiful. The fish was cooked to perfect, cutting easily with a fork and the jus added flavor to complement the white, tender fish. The star of the plate however was the spaghetti squash, which was rich and creamy. the mushrooms and lettuce mixed in were soft- not soggy- and contrasted well with noodle-like spaghetti squash. It was comforting and satisfying, perfect for a cool night. I wish I snapped a picture of my family's orders- I forgot that they all were gluten-free! The meal earned rave reviews all around. The only downside of the meal was that it was so filling that I was not even hungry for dessert. On my next visit to New York, I will definitely plan a return visit and order the small plates and dessert! The Little Beet Table earns points for their seasonal focus, diverse array of options, and delicious delivery. If only there more more restaurants like The Little Beet Table, dining out would not be such a worry-filled ideal. Price: See menu prices above.